As a special extra treat (! 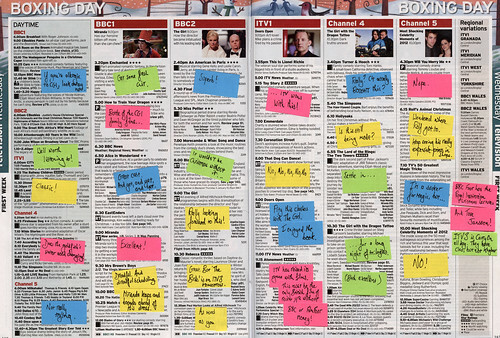 ), I’ve added Boxing Day to this year’s annotated Radio Times pages. OK. The rest of the family was watching Downton, and it leaves me a little cold. I suspect that personally, I’ll be catching up with the thing I’m most looking forward to – The Girl – on iPlayer later since it clashes with Miranda. And about the only Miranda Hart we’ve not had over Christmas is her book. As ever, it’s best viewed large.